Solar Energy Storage | Solar Energy Storage: How Do You Benefit from It? Getting the most out of the energy from the sun to produce electricity or power means investing in solar energy storage. If you already have a solar power system in place, you should know that you can take full advantage of its potential if you set up home batteries to store the surplus energy that your panels obtain during the day. You can then use that energy for your needs when the sun is down and during emergencies. Let us see the ways you benefit from storing the energy you gathered via your solar panels on the roof. 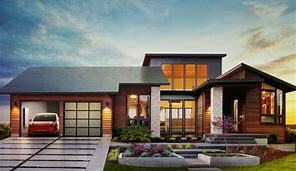 1 – With solar battery storage, you won’t run out of power to retain modern conveniences. The concept behind storing solar energy is to have a backup storage system that you can use to hold, store, and then provide power for your lights, electrical devices, appliances, and others that contribute to making life convenient all the time. Keep in mind that there are instances when you cannot use all the energy that your solar panels generate. Instead of sending the surplus energy back to the grid, you can store it via the battery system and use it later when the solar panels no longer gather energy. 2 – The use of solar battery storage systems means you improve your chances of becoming independent from the power grid. Since you now can store energy courtesy of the home solar system coupled with the battery storage, it means you put yourself at the advantage of becoming less dependent on the utility grid. It is no secret that utility companies continuously increase their rates, and millions of people across Australia will have to endure outrageous prices during peak energy use. Well, you finally can rid yourself of that burden if you invest in solar energy storage using your home battery. 3 – You get a reliable backup power source. You also must realise that with a solar energy storage system that does not rely on the utility grid, you no longer will worry about massive blackouts and power outages. Even if the entire neighbourhood gets dark after a massive storm took down the power lines, you still can light and power up your house with the home battery storage system. It is easy and quick to link up to the circuit breaker. The best thing about investing in a solar battery storage system is that you are creating a bright and sustainable future for yourself and your kids. When it comes to a clean and dependable source of energy, nothing beats the sun since it is natural, infinite, and taking advantage of it does not correspond to producing harmful by-products that result to pollution. It reduces your carbon footprint and eliminates the burden of paying high rates for electricity generated by the power grid.